I’ve been pondering the ‘where is the ACO smart money’ question for a while as in its answer lies greater clarity than the current high ‘noise to signal’ ratio experienced by many. Since we witness a range of opinion on whether the healthcare industry can self correct via proactive conscious choice, or whether a solution (increasingly of the draconian variety) will be externally imposed, seeing more clearly is a worthwhile objective to pursue. The centerpiece of much of the innovation to operationally manifest the ‘triple aim’, and thereby tame an otherwise insatiable provider appetite relies heavily on ACOs or their many accountable care derivatives, including coordinated care initiatives and patient centered medical homes, et al. 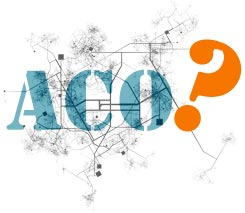 Yet according to some, ACOs aka ‘HMO lite’ will suffer the same fate as their more tightly managed brethren spawned during the 80s and 90s amidst a massive rollout of managed care organizations (MCOs) into mainstream medicine. The argument goes, ACOs are perhaps too little, too late, too weak, and therefore destined to recreate the same ‘disappointment’ of managed care v1.0. Put this pessimism into the popular view circa 2010/11 that mocked ACOs as ‘unicorns’ into which powers have been imbued with qualities and competencies only seen in myth since they do not exist in the real world. Then add to the conversational mix the litany of comments submitted to CMS when the ‘notice of proposed rule’ was released for public comment, which promptly drew the ire of many via 1,300+ comments objecting from everything to disproportionate risk assumption, for too little upside, to widely variant costs bases to stand up an ACO, and you get the context picture. But wait there’s more, even post issuance of the final rule, there was additional commentary about the low relative degree of expected participation of many of the name plate players who for one reason or another were choosing to stay on the sidelines – at least for now. Within this range of sentiment, I set about answering the question of where is the ‘smart money’ in ‘ACO-dom’, and felt the most qualified audiences to query would include the likes of ‘risk savvy’ medical groups, integrated delivery systems or their trade group representatives. American Medical Group Association members continue to provide patients with high quality medical care and many of our members are operating in arrangements that reward physicians for value, rather than for volume. In fact, of the 106 Medicare Shared Savings Program participants, 35 are, or are affiliated with, AMGA members. And we know that more of our members will be signing up in the next phase of MSSP beginning on January 1, 2013. Additionally, of the 32 Pioneer ACO Program Participants, 22 are AMGA members. And we are aware that dozens of our members are involved in commercial ACO arrangements. AMGA’s recently held our Institute for Quality Leadership (IQL) which explored these successful models of accountable care. Leaders from these innovative groups presented successful routes they have taken to transition from volume-based care to value-based, accountable care models. These groups are committed to reforming our healthcare delivery system and this meeting reveals the way many groups are forging ahead to create a health system that delivers real quality and value to patients. These groups are redefining what it means to be a high-performing health system and showing that coordination of care improves quality, bends the cost curve, and delivers value. CAPG regards itself as a group of ACO providers….with a mixture of both global risk as well as professional only risk. We are ‘they’….AND we’re bullish on the [ACO] model. Though the bottom-line, at least for purists to be considered an ACO you need to be built upon a fee-for-services vs. an HMO chasis. What we’re really talking about is the movement of FFS to fee for value. An ACO can be characterized as HMO lite, but need be seen as a stepping stone to greater risk assumption. Sharp Healthcare system (both Rees Stealy & Sharp Community Medical Group), Heritage ACO, Monarch Healthcare, Healthcare Partners, PrimeCare (also known as North American Medical Management), and Brown & Toland Physicians. So 6 of the 32 Pioneers [ACOs] are California based. This is the cradle of managed care, where the know how resides, so it isn’t any surprise that we have 6 Pioneers here. If we had our druthers we’d probably convert [these beneficiareis] to Medicare Advantage as the tried and true way to make [ACOs] work. It seems to me the world is moving towards defined contribution. We need to basically make money on savings, that’s our model. And the tipping point is the dual eligibles. So there you have it. From two in the know ‘smart money’ sources. The future while still rather uncertain overall (i.e, all healthcare is local), remains bullish at least for those with experience in the world of physician led clinical risk and network management. More on some of the individual member footprints and structural initiatives in subsequent blog posts. If the ACO Idea Fails, What’s Next?